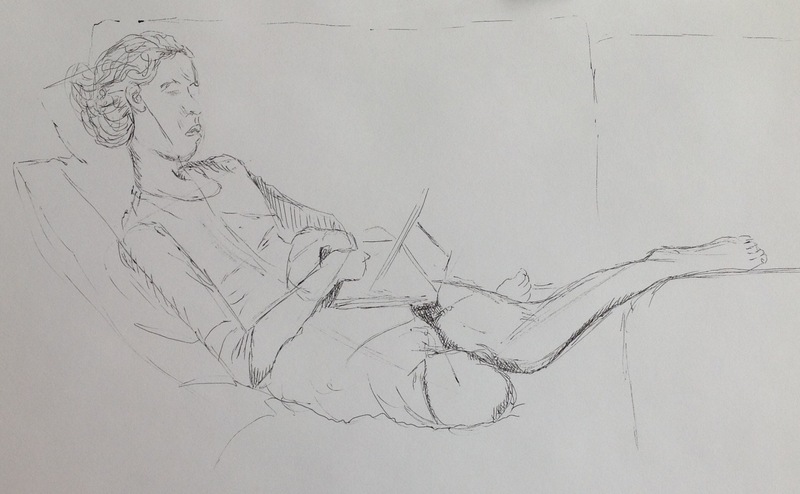 Before drawing my model I warmed up with some 5 minute sketches from on-line life models exercise from ‘New Masters Academy’. I started by positioning the head and then drew in the angles of the spine, shoulder girdle and hips, followed by the line/angles of the legs and arms. 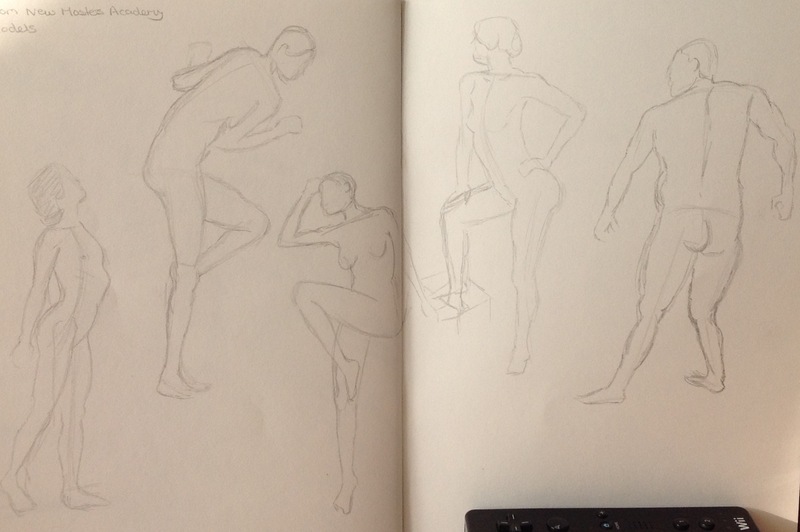 Then I drew a line to describe the body outline, which is all I could manage in 5 minutes. 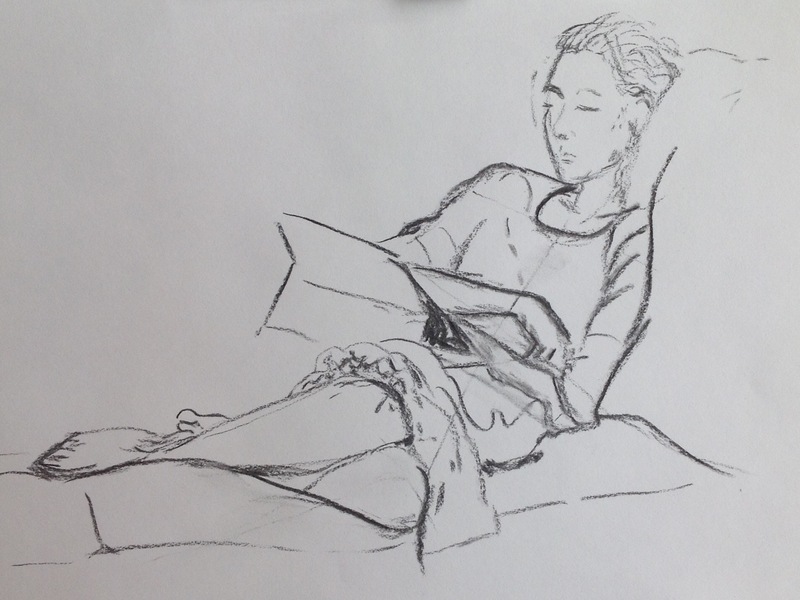 These drawings seemed to go quite well, but drawing my model from real life seemed far more tricky. The first 10 minute sketch was drawn in pen. I think the head is a little too big and the angle of the leg looks odd. 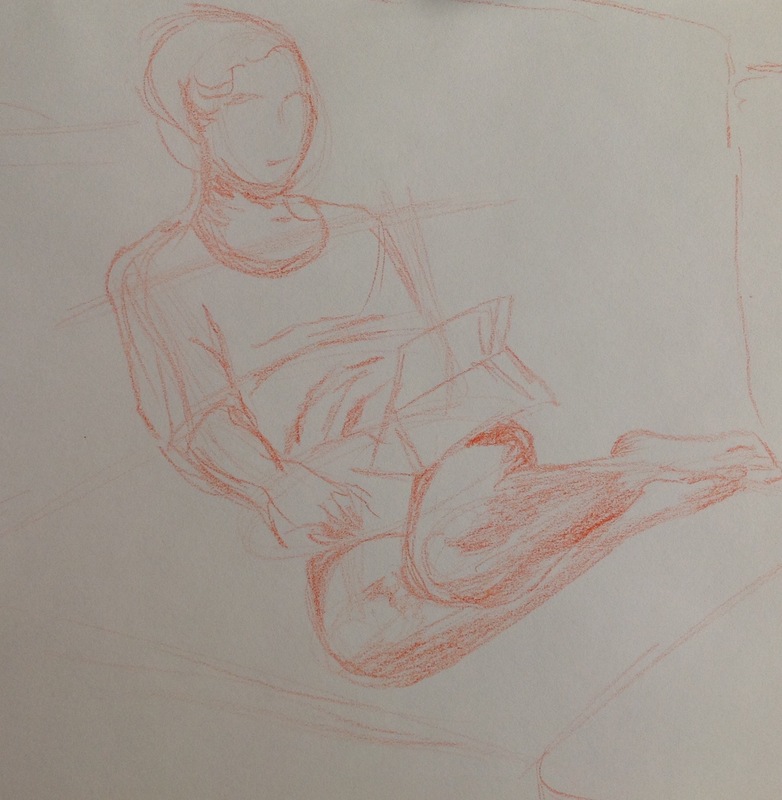 The second sketch is in crayon and the legs look too small for the body. The third sketch is in charcoal and has better proportions. I think the drawing of lines to help me work out the angles and curve of the spine is helping me but I need to research methods of getting the proportions correct, which I think is harder to do on a seated model.